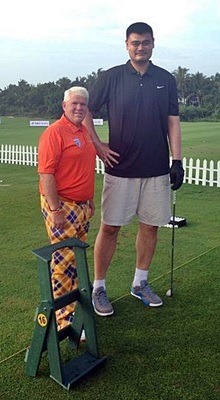 “I look like a Mini Me” – Daly on Twitter. Daly thinks he looks Chinese? Reminds me of the time I worked for Christina Kim in a practice round at Kraft. Some guy thought I was her farther. This entry was posted on Wednesday, October 29th, 2014 at 4:40 pm and is filed under Uncategorized. You can follow any responses to this entry through the RSS 2.0 feed. You can leave a response, or trackback from your own site.